Was it worth changing the VDP program for 100 Paradise Papers audits? TORONTO, March 22, 2019 – The Canada Revenue Agency has launched roughly 100 audits into taxpayers named in the Paradise Papers offshore tax leak, according to documents tabled in Parliament. Although the CRA has identified 3,000 people or corporations with "links" to the Paradise Papers database (the "Database" or "Paradise Papers"), only 100 Canadian persons have been identified for audit. The CRA reports that none named in the Database are referred for criminal prosecution for tax evasion and, as of yet, no revenue has been recouped. In 2017, the Toronto Star and CBC-Radio Canada reported that 3,300 Canadians were named in the Database, a collection of financial documents leaked to the German newspaper Süddeutsche Zeitung and shared with the International Consortium of Investigative Journalists. 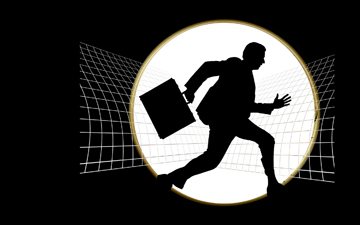 The documents detail the potentially questionable but not necessarily illegal world of offshore banking and tax avoidance. Canadian business people, wealthy citizens and former prime ministers were named in the database of leaked records. By way of background, in the 2016 federal budget, the government expressed confidence it could recoup billions in revenues by catching tax cheats and recovering tax debts. That year, the federal budget included $10 billion in new tax revenues over the following five years through collecting bad debts and cracking down on offshore tax havens — the estimated cost of the windfall was a relatively meagre $800 million in extra staff and resources over the same period. While revenues are up in the 2017 Annual Financial Report it remains unclear whether the improvement is due to a stronger economy or the government's increased enforcement efforts. As part of the CRA campaign to increase enforcement revenues, in April 2016, the Offshore Compliance Advisory Committee (the "OCAC") was established by the Minister of National Revenue (the "MNR") for the purposes of providing advice to the Minister and the CRA on administrative strategies to deal with offshore compliance. In their first report, the OCAC provided recommendations to the MNR that the CRA increase their revenues by revising and tightening their Voluntary Disclosure Program (the "VDP"). The VDP offers non-compliant taxpayers who meet conditions for acceptance into the program, an opportunity to come forward and correct their tax affairs and face mitigated penalties. The MNR accepted the recommendations of the OCAC. On December 15, 2017, the government released a revised version of Information Circular IC00-1R6, Voluntary Disclosures Program (the "Circular"), which provides information on the discretionary authority of the MNR to grant relief from any penalty or interest under subsection 220(3.1) of the Income Tax Act (the "Relief Authority"). The Circular came into effect on March 1, 2018.
requires that prospective participants immediately pay their estimated taxes owing or provide acceptable security to qualify. Removes the "no-name" disclosure method, which previously provided temporary anonymity to those taxpayers who were uncertain about their tax positions. Introduces a new Limited Program that provides lesser relief to taxpayers where there is an element of intentional conduct. Relief under the Limited Program is restricted to a CRA commitment not to pursue criminal action and not to assess gross negligence penalties. Refers transfer pricing adjustment and penalty relief applications to the Transfer Pricing Review Committee. Specifies that the CRA explicitly reserves the right to audit or verify information provided in a VDP application and to cancel otherwise eligible relief, if the error or omission resulted from misrepresentation due to neglect, carelessness, wilful default or fraud. For the Limited Program, the Circular includes language that requires taxpayers waive their rights to object and appeal in relation to certain aspects of their voluntary disclosure. The disclosure must be "voluntary". This means that "no enforcement action" has been initiated with respect to the information being disclosed to the CRA. Furthermore, a disclosure cannot be considered voluntary in cases where the CRA has received information regarding a taxpayers' potential non-compliance. For instance, any person named in the Paradise Papers or Panama Papers are ineligible for the VDP. The disclosure must be "complete". This requires that accurate facts are disclosed for all relevant tax years or reporting periods (including those periods greater than 10 years old, for which the CRA cannot offer relief under the limitations described in the Relief Authority). The disclosure must involve the application or potential application of a penalty. The disclosure must include information that is at least one year past due. The taxpayer must either include payment of the estimated tax owing with the VDP application or make arrangements for payment with the CRA collections officials. The new VDP makes filing a voluntary disclosure a more harrowing process and may present unforeseen consequences. For instance, while the OCAC's recommendations are apparently aimed at improving enforcement actions and increasing revenue from the rich. Nevertheless, the changes to the VDP are disproportionately punitive to the middle class. For example, many of the factors that CRA has indicated it will use to determine whether a taxpayer will fall in the limited program could apply in many situations commonly experienced by middle class taxpayers, such as where there are a number of years of non-compliance. Moreover, the new requirements that an applicant pay taxes in arrears immediately or provide proportionate security, will price out a segment of the population lacking the liquidity. Additionally, the possibility of being accepted into the Limited Program disincentivizes participation. An applicant will remain in the dark as to whether their application will qualify for relief under the General or the Limited program until after they disclose all of their information to CRA. It also requires a taxpayer to waive certain rights to file a notice of objection. However the factors listed in the Relief Authority are largely framed as subjective factors (for example, the sophistication of the taxpayer). Given that the MNR has demonstrated issues in consistently applying the criteria for taxpayer relief, it is expected that the MNR will face similar issues with consistency in applying these factors. As a result of the uncertainty, the spectre of selection for the Limited Program may encourage a person to take their chances with enforcement, rather than come clean and face ambiguous consequences. Suffice it to say, the new VDP limits both a) the pool of potential VDP participants and b) the allure of the program as compared with the previous VDP. Additionally, disclosure from persons named in the Paradise Papers and Panama Papers (or any other leaked sources such as tips) is not considered voluntary and is therefore ineligible for the VDP. While we await the end of the initial fiscal year for the new VDP, given the changes to the program, it is our prediction that participation in number of applications and, consequently, revenue via the VDP is likely to retreat this year. It remains unclear whether the CRA's increased budget has resulted in increased enforcement actions or increased revenues. In November 2017, the CRA said they had 990 audits and 42 criminal investigations into offshore "financial structures" underway. During the January 2019 Parliamentary hearing, Diane Lebouthillier, the MNR, told Parliament 25 employees had been assigned to work on the Paradise Papers issues specifically, including research, data analytics, risk assessments, audits and coordinating efforts with the agency's international partners. In the January Parliamentary hearing where the documents were tabled, the MNR, explained in her testimony to Parliament that "Audits and criminal investigations such as those linked to the paradise papers are complex and, due to the complexities, can require months or years to complete." Accordingly, we expect short-term revenues to fall inadequate of the $10 billion windfall described in the 2016 budget — notwithstanding both the Panama Papers and Paradise Papers leaks. In conclusion, it remains to be seen whether the CRA crackdown will compensate for the double-edged sword of increased enforcement costs and reduced VDP revenues. As related to the Paradise Papers, after two years, an increased budget for enforcement, and a grand total of $0 in leak-related revenue, it is unlikely that the 100 Paradise Papers audits will be the CRA's panacea in 2019. 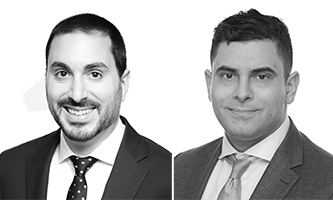 David Piccolo is a tax partner and Joe Wahba is an associate at TaxChambers LLP in Toronto. Photo by Michelle Spollen on Unsplash.